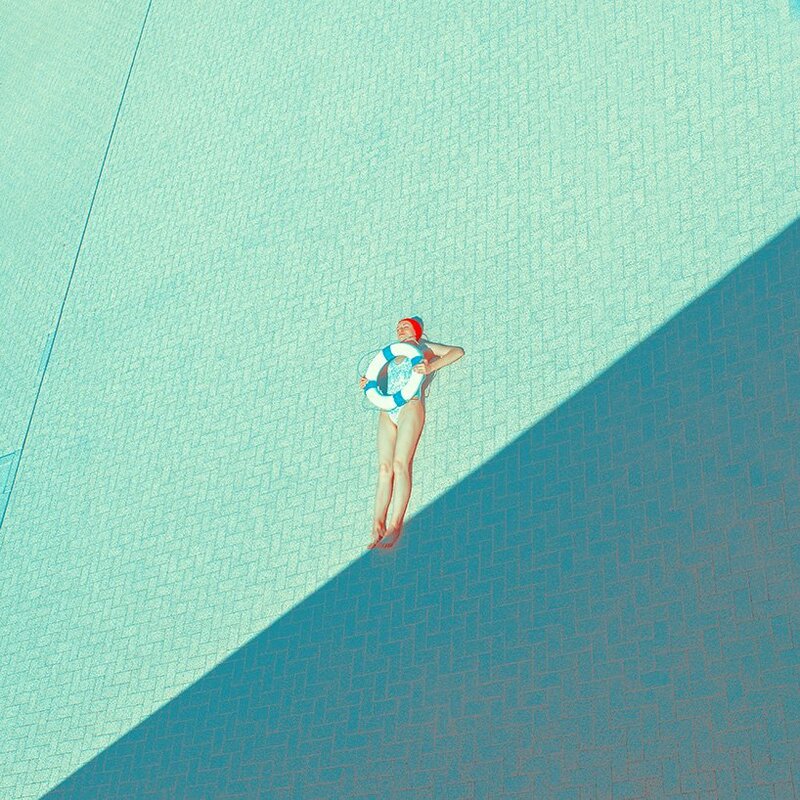 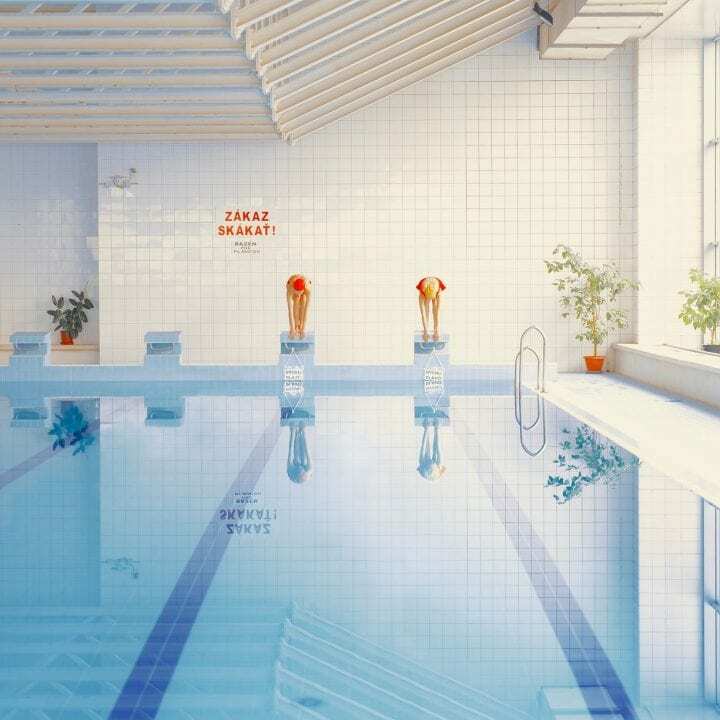 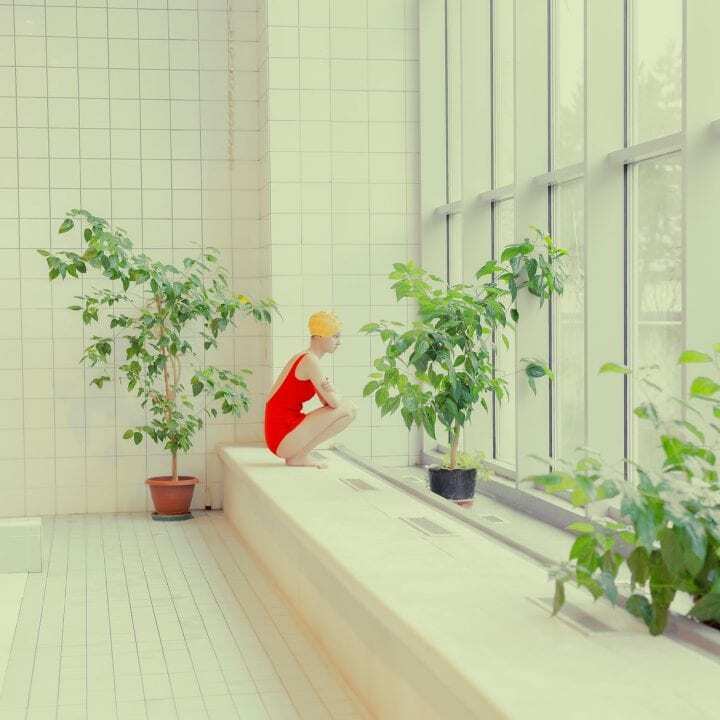 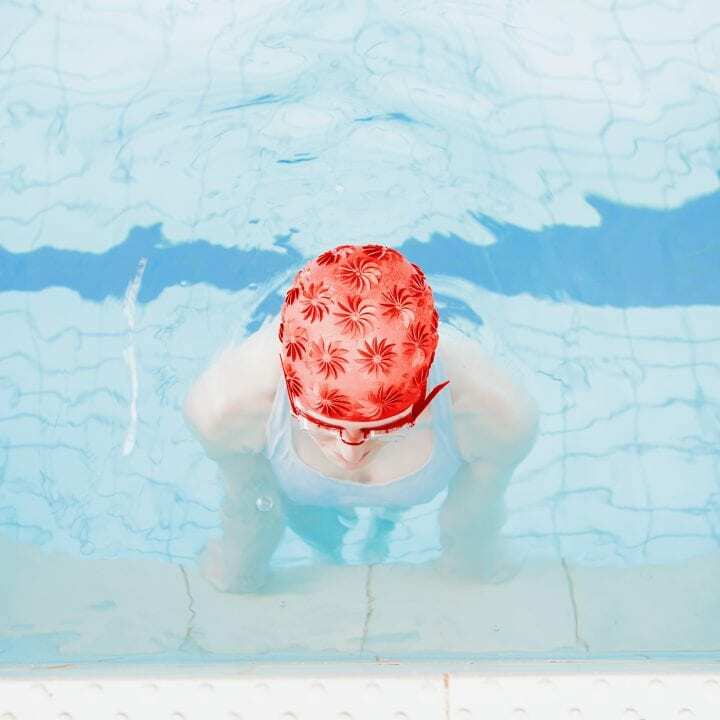 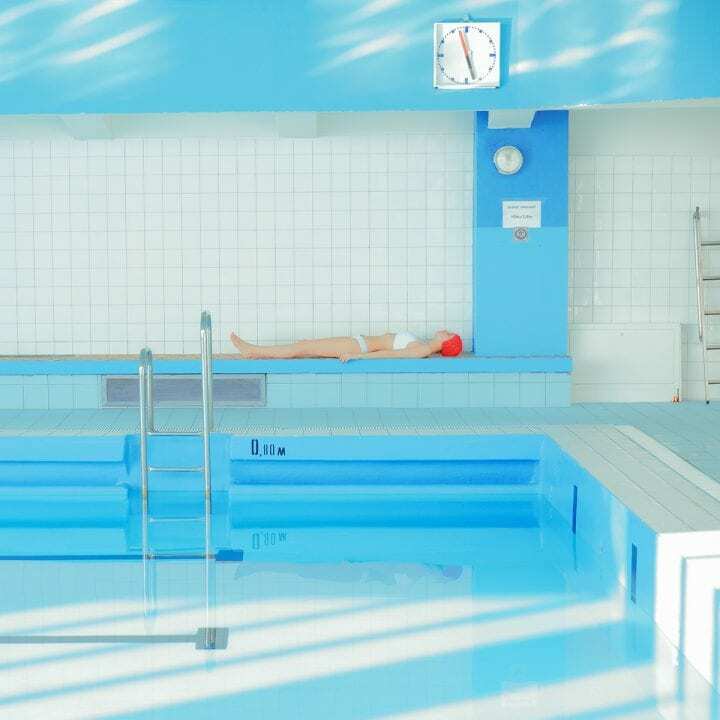 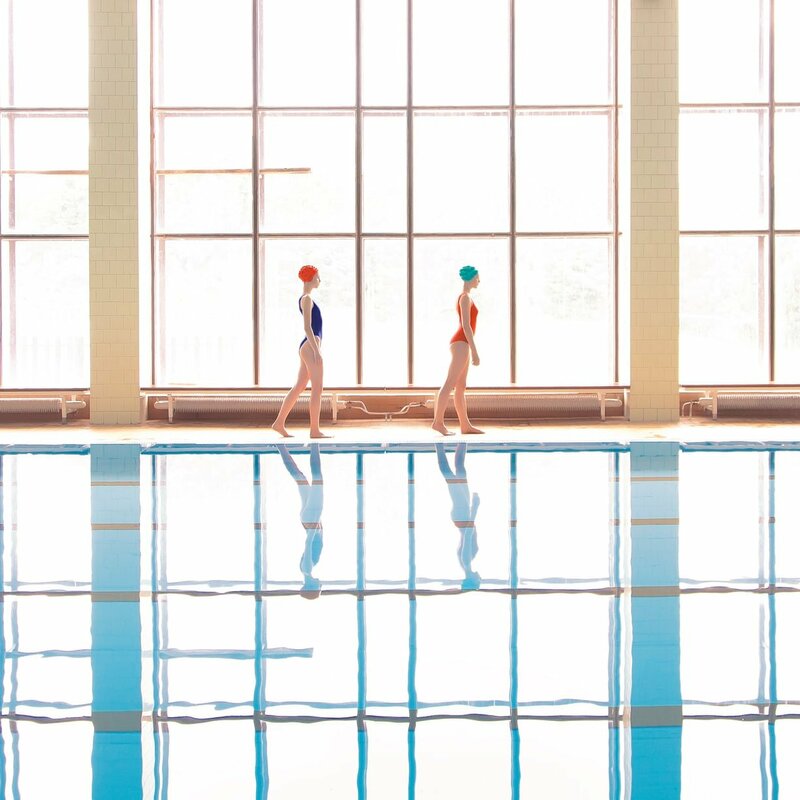 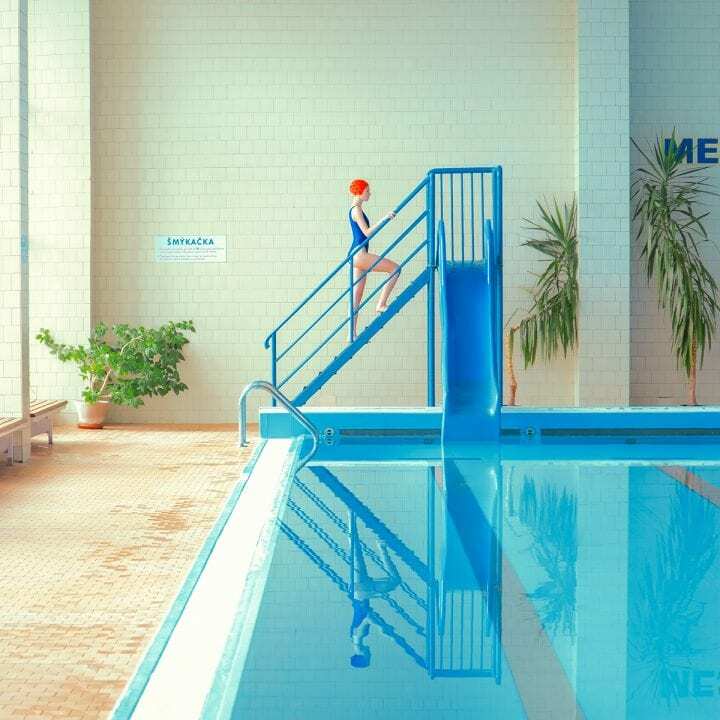 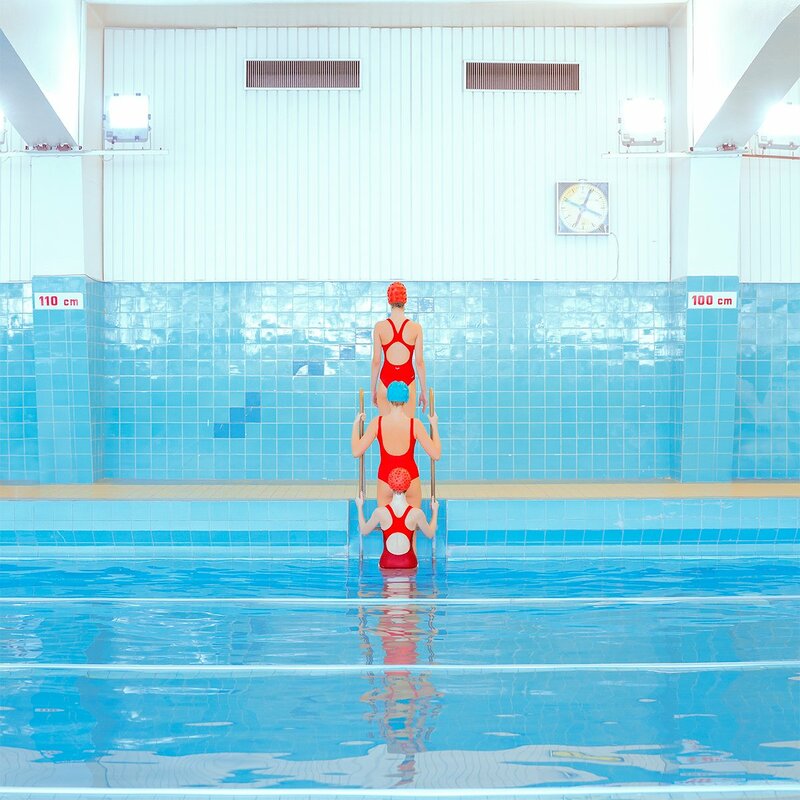 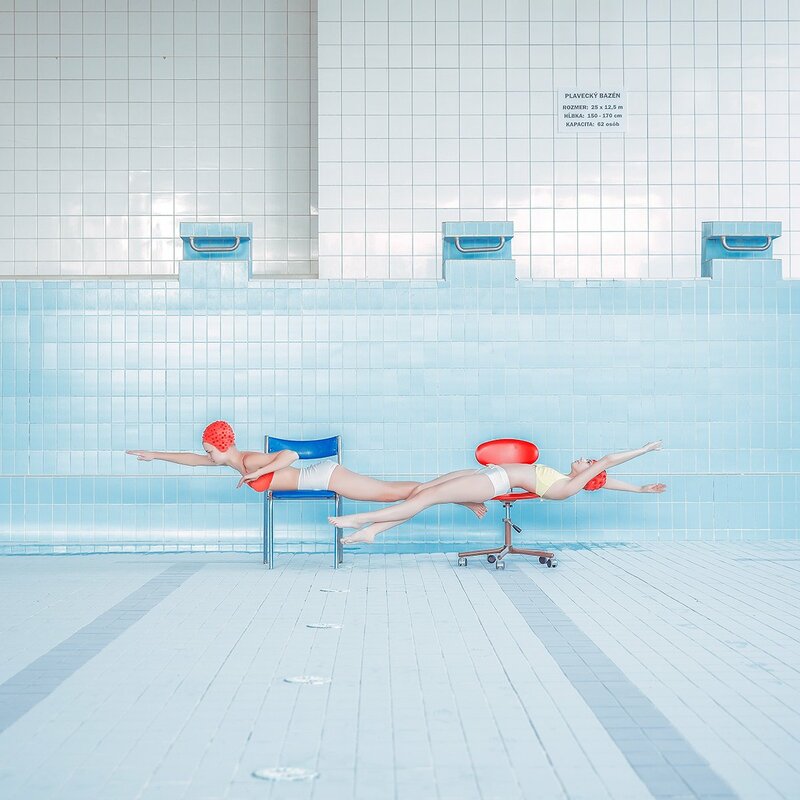 Taking an interest in Socialist era architecture and public spaces, Slovakian photographer Maria Svarbova’s fascination with the space of public swimming pools contributed to developing her own visual style. 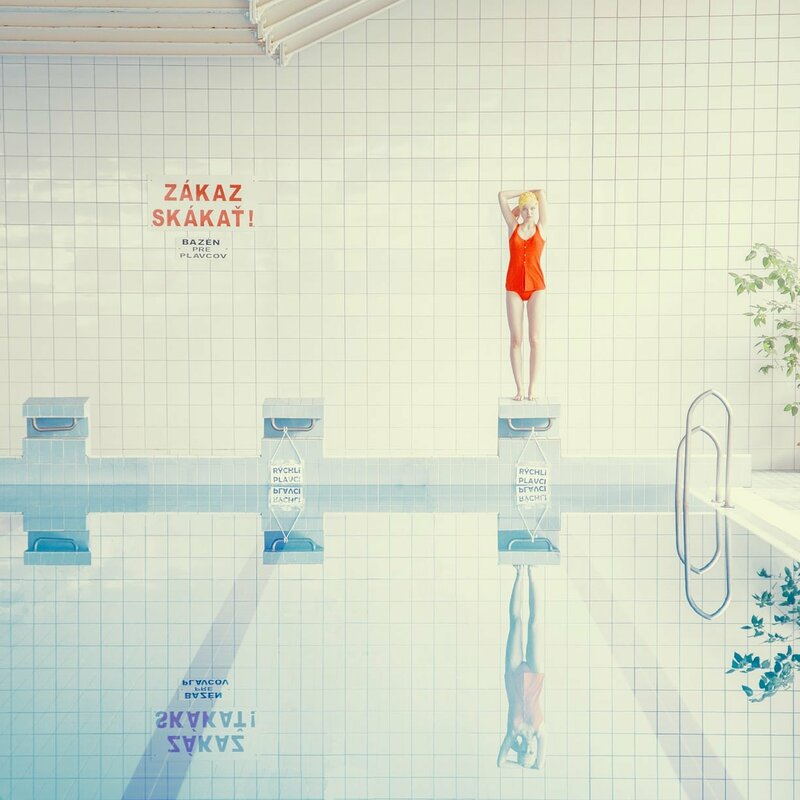 Sterile, geometric beauty of old pools set the tone for these photographs. 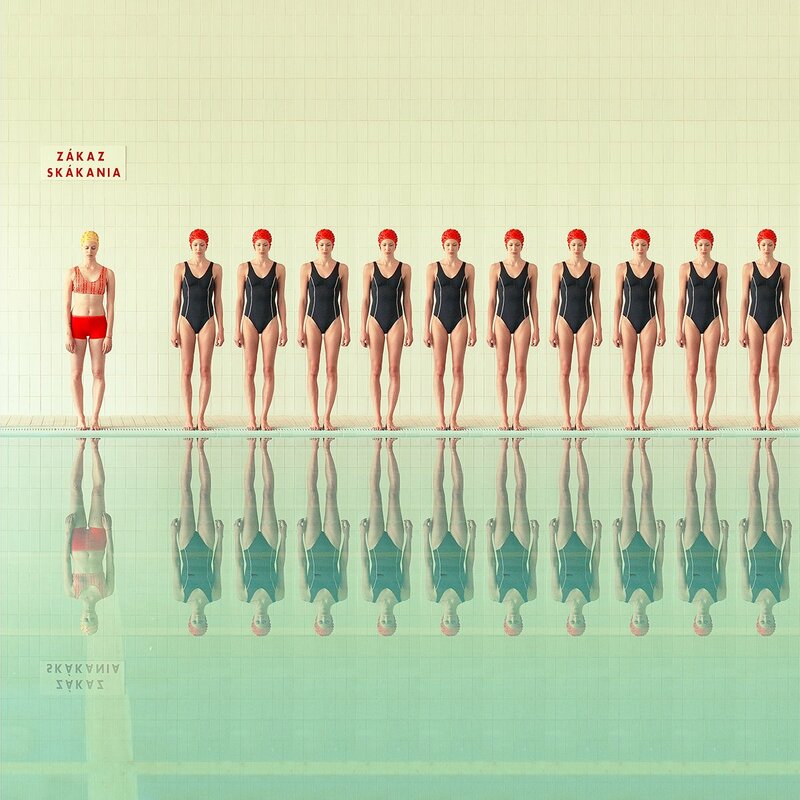 Each of them pictures a different pool, usually built in the Socialist Era, in various locations in Slovakia. There is almost cinematographic quality to the highly controlled sceneries that Maria captures. 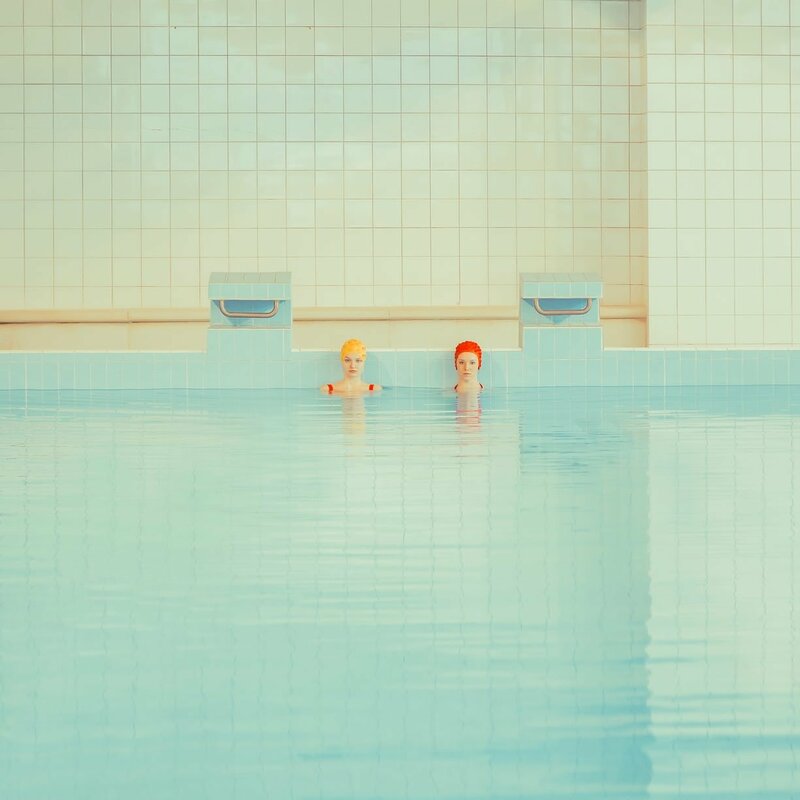 There is no disturbing emotion, there is no individuality in their stillness.